Now 5 days after the Australian election the only clarity is that Labour will not be able to form a government and the Liberal coalition (with some independent support) may be able to just cobble together a majority. It isn’t that electrons move slower in the Southern Hemisphere. The Australian Electoral Commission just does not use electrons. It isn’t that Australians are sluggish in winter. It isn’t that they still use pigeon post in the bush (for pigeons are a lot faster than the AEC). Or that they still use dak runners. It isn’t that with the compulsory voting used in Australia, that the AEC first identifies all the “criminals” who haven’t voted before beginning the count. It isn’t – as vicious rumour would have it – that the unions insist that all vote counters must be permitted a tea-break for every 100 votes counted. It isn’t that every count has to be done in triplicate. It isn’t that the Australian Parliament does not have a Joint Standing Committee on Electoral Matters, but that is a body driven entirely by its fears and is not particularly courageous. Or that the AEC is grossly understaffed and has only 3 vote counters who are qualified. But whatever it is, results from a general election in Australia are the slowest in the world. All the seats in Parliament may not be settled for another 2 weeks. The Senate results may not be known till August. The Philippines, Bangladesh, India and even Rwanda are faster. ABC News: “The fact the country has ground to a halt, as a result of a labour-intensive process that consumes nearly 75,000 people, to arrive at a result that could potentially be delivered in minutes electronically is intensely frustrating,” Dr David Glance, head of University of Western Australia Centre for Software Practice (UWACSP), said. It is not that there are no suggestions as to how the medieval system used by the AEC could be improved (it is difficult to imagine any action which could make it worse). There are many countries which still use paper ballots but they all include some form of electronic enhancement of the counting process. Distrust of full electronic voting has seen the nation persist with pencil-and-paper methods primary schools and community halls, though the issue has been considered after every federal election since 2001. In the 2000 US presidential election, punched card machines failed spectacularly after 170,000 votes were rejected as unreadable in parts of Florida. The voting debacle in that state was considered pivotal to the ­victory of George Bush over Democrat candidate Al Gore. The veri.vote team say electoral commissions around Australia might now look more favourably on their technology, given the ­agonising delay of several days — or weeks in the case of the Senate — before winners are known. 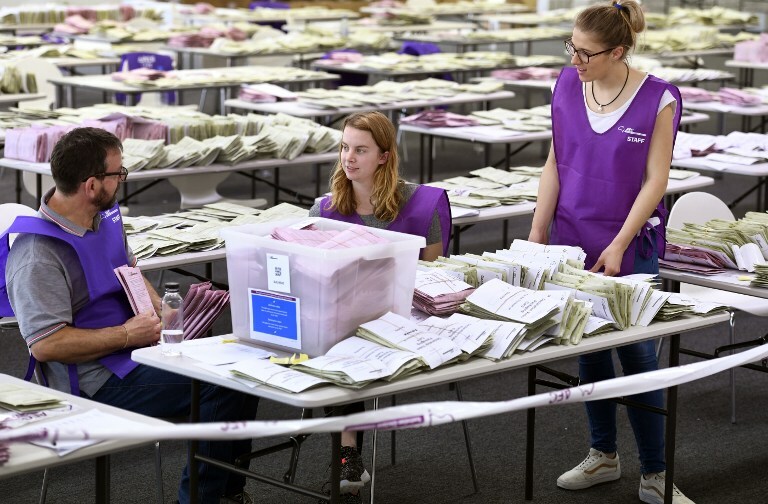 Rumours are also emerging the Australian Electoral Commission faces irregularities on top of counting a remaining 3 million votes, including 1.5 million postal votes. Veri.vote co-founder Cam ­Sinclair says such problems raise memories of the catastrophic WA Senate election, which was re-run in 2014 after 1370 ballot papers went missing. He says he was a scrutineer watching as 200 volunteers spent three weeks counting a second round of votes, in an antiquated system dating to the late 1800s. The Joint Standing Committee on Electoral Matters held 20 hearings and reviewed more than 200 submissions before deciding ­Australia should stick to its largely paper-based system. My perception is not so much of Abbott taking or stretching his lead but rather of Rudd trailing and falling further behind. Like an over-the-hill runner attempting a come-back, who cannot quite keep up and who falls increasingly further behind as they enter the home stretch. There is less than a week to go and they have had 3 debates. Neither scored a knockout but neither fell down either. The personal popularity that was Rudd’s calling card is just a shadow of what it used to be. His beaming smile now has a hint of being sinister. If this election is in any sense a referendum on the carbon tax, Rudd is on the wrong side – even if it is Julia Gillard who takes most of that hit. The nexus between corrupt union leaders and Labour politicians lives a life of its own and a mere election will not put a stop to that. But all the recent headlines don’t particularly help Rudd. 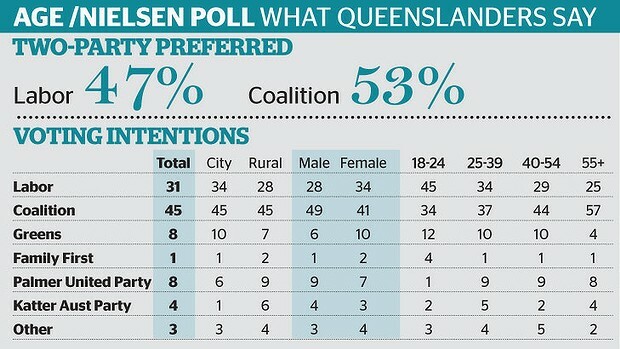 In the critical state of Queensland, Rudd is “going the wrong way“. TONY Abbott says Australia should stop boasting on the world stage and bring some “humility” back to foreign policy. In a direct swipe at Kevin Rudd, the Coalition leader suggested the Government should stop “overstating” its influence and be realistic about what authority it could command internationally. The Prime Minister yesterday continued to use to the Syria crisis to attack Mr Abbott’s apparent lack of depth on global affairs. But in a stinging rebuke to the man once dubbed Kevin 747 for his extensive world travel as PM, Mr Abbott said Australia could be more effective as a non-permanent member of the UN Security Council if it stopped exaggerating its power. “Australia should do what it can to build a better world but we shouldn’t exaggerate our own influence,” he said following a Press Club address in Canberra to make the case for a Coalition government. As always, following the money is usually very revealing. If the bookies had just stopped taking bets on Abbott it would have been pretty telling. But when a bookie starts paying out even before the polls have opened – let alone before the result is announced – it can only mean that one contender is overwhelmingly dominant or that the result has been fixed. Either way the result is a done thing, and one bookmaking company has started paying out bets on Abbott a full week before the election. An Australian bookmaker on Thursday began paying out bets on a conservative opposition victory, declaring the country’s September 7 election race already over for Prime Minister Kevin Rudd’s struggling Labor government. With nine days to go, online bookmaker Sportsbet said it had begun paying A$1.5 million ($1.34 million) in bets received on a victory for opposition leader Tony Abbott’s centre-right coalition, because the outcome was already clear. “As far as Sportsbet’s betting markets are concerned, the Abbotts can start packing up their belongings ahead of their imminent move to Kirribilli House,” Sportsbet spokesman Haydn Lane said, referring to the prime minister’s residence in Sydney. The race it seems is over. Sarkozy has lost in France according to Belgian and Swiss sources though the exit polls in France are not yet out. Hollande is expected to win by 5%. The exit polls are also out in Greece. In Greece, the only two parties supporting the Eurozone bailout and the austerity measures – PASOK and New Democracy – will probably not be able to form the next government. And that means that the chances of Europe leaving the Euro are greatly enhanced. In the short term this will cause massive turbulence in the Eurozone. Lee Kwan Yew built Singapore. He also put in place all the trappings of a multi-party democracy but was effectively the benevolent dictator who controlled every aspect of life for over 40 years (31 years officially as Prime Minister and for a decade afterwards). But the institutions he set up for legislative representation and the judiciary are all somewhat nullified when the current reality is one of a single party, ruling in a quite authoritarian style under the cloak of a pluralistic democracy. The ruling party has been quite ruthless in using legalites and a compliant judiciary to exclude rival political parties as soon as they begin to show any signs of becoming popular. 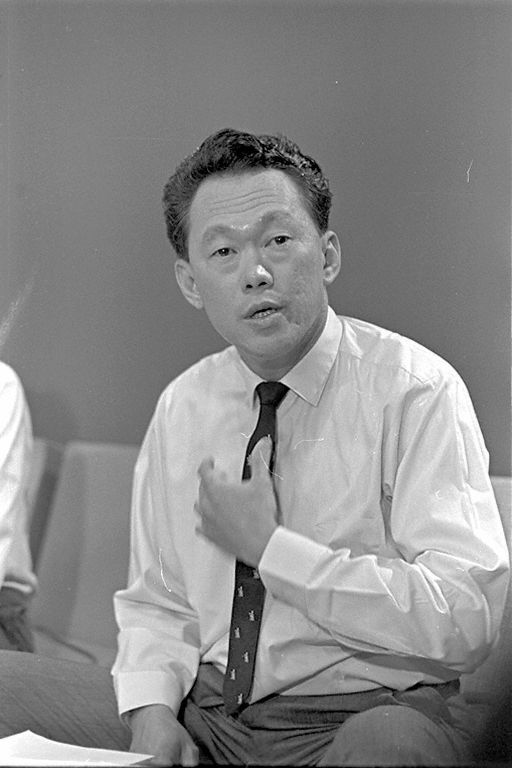 Singaporean politics have been dominated by the People’s Action Party (PAP) since the 1959 general election when Lee Kuan Yew became Singapore’s first prime minister (Singapore was then a self-governing state within the British Empire). The PAP has been in government ever since. Singapore left the Commonwealth in 1963 to join the Federation of Malaysia, but was expelled from the Federation in 1965 after Lee Kuan Yew disagreed with the federal government in Kuala Lumpur. Foreign political analysts and several opposition parties including the Workers’ Party of Singaporeand the Singapore Democratic Party (SDP) have argued that Singapore is a de facto one-party state. The Economist Intelligence Unit classes Singapore as a “hybrid” country, with authoritarian and democratic elements. Freedom House does not consider Singapore an “electoral democracy” and ranks the country as “partly free”. Reporters Without Borders ranked Singapore 140th out of 167 countries in its 2005 Worldwide Press Freedom Index. … The PAP employs censorship, gerrymandering and the filing of civil suits against the opposition for libel or slander to impede their success. Several former and present members of the opposition, includingFrancis Seow, J.B. Jeyaretnam and Chee Soon Juan perceive the Singaporean courts as favourable towards the government and the PAP due to a lack of separation of powers. …..
Jeyaretnam lost a series of suits to members of the PAP and was declared bankrupt in 2001, effectively disqualifying him from participating in future elections. Similar civil suits have been filed against Chee Soon Juan, leader of the Singapore Democratic Party. In 2005, filmmaker Martyn See shot a documentary on Chee called “Singapore Rebel” and was threatened with a lawsuit for making a “politically partisan” film, which is illegal in Singapore. In 2008, Chee Soon Juan along with his sister Chee Siok Chin were again sentenced to jail for testimony they provided in court. Both have been made bankrupt and are prohibited from leaving the country. Singapore goes to the polls today and it is noticeable that the events in Tunisia and Egypt have aroused a yearning among many Singaporeans for the strangle-hold of the PAP to be at least weakened if not broken. BBC: Politics in the tiny but hugely wealthy state have been dominated by the current ruling party since independence in 1965. 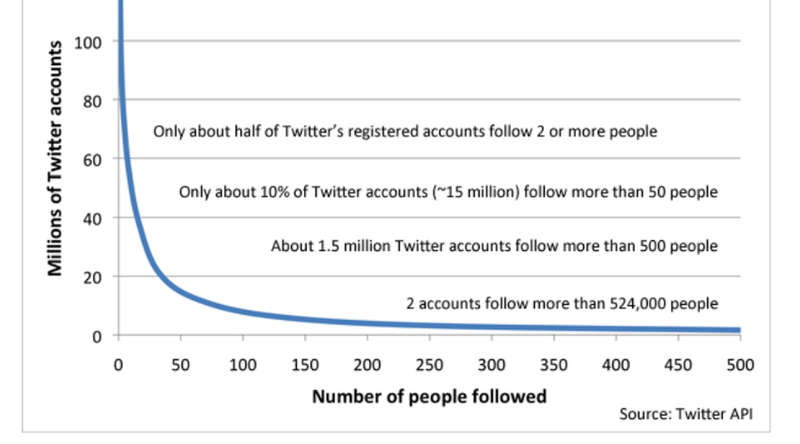 But a decision by opposition parties to co-ordinate more closely, and a huge rise in the use of social media, have created a greater sense of competition. The issue dominating discussion is the economy. Singapore is one of the safest, cleanest and wealthiest countries on the planet – something which should bode well for any incumbent government. And in truth there is little doubt that the People’s Action Party, which has ruled since independence, will be returned to power. But it is facing a tougher test in this election than ever before. The many parties of the traditionally fragmented opposition have adopted a co-ordinated strategy which has allowed them to challenge almost every seat. In fact the only uncontested constituency is that of Singapore’s founding father, Lee Kuan Yew. The challenges facing the country are being discussed. Old orthodoxies are tentatively being challenged. Which is why this election, in normally staid Singapore, is being hailed as the most exciting for a generation. Whether the Arab spring or the Facebook revolution will be reflected in these elections remains to be seen. But there is no doubt that the PAP is more worried about the effect of the new social media sites than they have ever been. They have even apologised for errors they have made. But Lee Kwan Yew’s legacy will not be so easily overturned when the majority perceive – as they do – that they have it “pretty good” and maintaining the status quo is far better than the uncertain benefits of an increased level of freedom.